TBAE is a completely mobile team building facilitation company. We are able to facilitate our mobile team building themes at any suitable venue (provided the venue allows team building). In addition, we are also able to offer highly competitive venue hire, catering and accommodation packages at certain venues where we’ve previously hosted events. TBAE offers interactive team building activities that are adventurous, but safe. One of the best features of our activities is that everybody is able to participate, no matter their fitness level or physical abilities. We are able to accommodate pregnant ladies and those with disabilities (our client, the Disabled People of South Africa, selected us to facilitate the event at their annual conference). 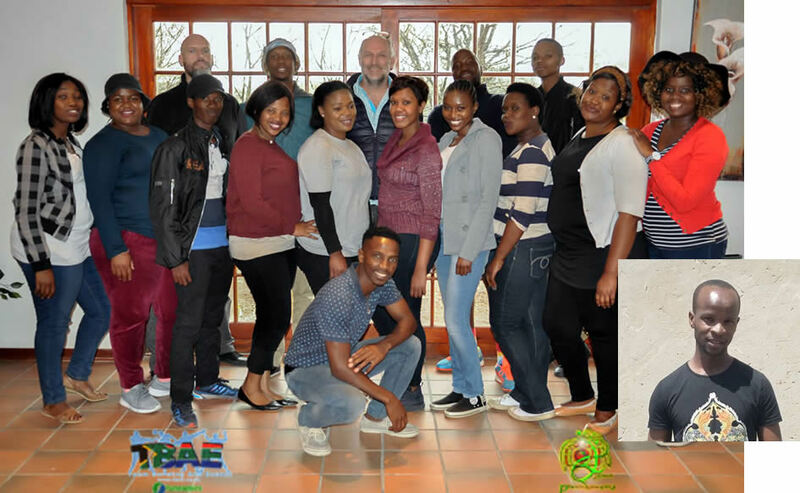 TBAE’s team building facilitators are all highly skilled, experienced facilitators who are committed to exceeding your expectations and making your next team building event the most memorable ever. We offer a vast array of team building exercises, both physical and mental, to achieve your objectives and make your program unforgettable. Humour forms an important component of most of TBAE’s group team building activities. In these activities we use humour as our methodology of getting the participants to“drop their guard”. This is ideal, especially if you require “a fun day out of the office, where everyone gets to know each other”. 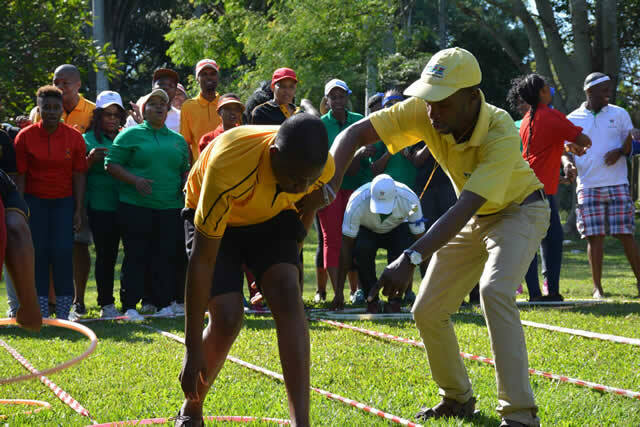 If you require more specific outcomes for your team building event, TBAE has various outcome based activities which include outcomes such as communication, cooperation, goal setting, creative thinking, decision making, leadership, problem solving, resilience, time management and trust. TBAE offers a wide variety of indoor team building activities such as Minute to Win It, Murder Mystery, Drumming, Movie Making, Art Workshop and Creative Construction. These activities can be facilitated at most team building venues, depending on the size of your group. These activities are also easily facilitated at your own venue. TBAE also offers non-accredited soft skills courses for groups. The courses focus on behavioural competencies for improved interpersonal skills. These interpersonal skills are essential for building relationships of trust, empathy, and productive interactions within your team. TBAE offers more than 70 skills training courses including courses such as anger management, conflict resolution, change management, creative problem solving, organizational skills, personal productivity, stress management and work-life balance. TBAE’s training courses take place in the form of a workshop. With the wide range of skills courses available, you can easily choose the perfect course to complement your conference or team building event. The interpersonal skills learned in these courses can often be more valuable to a team’s long term success than many specific occupational skills. TBAE's soft skills courses are offered as part of / or as a team building / enrichment option. The courses are focused on groups and can be done at a venue arranged by TBAE or at a venue arranged by you. The courses are not currently on offer for individuals. Whether teams are competing in outdoor challenges, having interactive classroom discussions, or enjoying a competitive cooking challenge, the spirit of adventure is in all TBAE Team Building experiences. Every TBAE Team Building program is designed with specific learning outcomes. Some are aimed at learning new team skills, others at enhancing self-awareness, and some result in interesting new take-away’s. Some of the most powerful and lasting learning experiences come from times in our lives that are extremely positive or negative. TBAE Team Building’s goal is to make our programs memorable through positive energy and an enjoyable experience. Teams are tools. As such, each team design has its own uses, its own characteristics, and its own limitations. Teamwork is neither “good” nor “desirable” – it is a fact. Simply put, people don’t always play well together. Most professional teams – sports teams for example – practice approximately 90% of the time so they are ready to win the game. Corporate teams are lucky if they get to practice 1% of the time and as a result rarely reach their collaborative potential. In a workplace full of voicemail, email, and brief meetings, teams rarely have the time and opportunity to develop authentic and trusting relationships. Our Experiential Approach – Confucius wisely said “I hear and I forget, I see and I remember, I do and I understand.” People learn most effectively through experience. Our action-based approach to team building also results in a more enjoyable and memorable experience. The Appropriateness of Our Programs – TBAE Team Building experiences are designed to engage all participants, regardless of ability or activity level. There are always vital roles for every participant. Also, programs skillfully balance the tension between having fun while not being silly. Our Responsiveness and Customization – The TBAE Team Building team provides our clients with prompt team building solutions that fit their unique needs. All programs can be tailored and modified to work with a wide range of group sizes and event themes. As an organization with the motto “all work. all play.”, it seems logical that TBAE Team Building would utilize an experiential approach. However, this action-based process is much more than just fun and games – research strongly suggests that it produces some of the most powerful learning possible. Research conducted by Edgar Dale in 1960 shows the effectiveness of learning according to the media involved in learning experiences. According to Dale's research, the least effective method (the top of the cone) involves learning from information presented through verbal symbols, i.e., listening to a lecture or a keynote speaker. The most effective method (the bottom of the cone) involves direct, purposeful learning experiences that fully engage the learners in the process. The Learning Pyramid charts the average retention rate for various methods of training. These retention percentages represent the results of research conducted by National Training Laboratories in Bethel, Maine. According to the chart, lecture (the top of the pyramid) achieves an average retention rate of 5%. On the opposite end of the scale, the "teach others/immediate use" method achieves an average retention rate of 90%. TBAE Team Building fully embraces this experiential learning philosophy. Using initiatives, learning games, facilitated discussions, business simulations, and adventure experiences, participants experience learning in a hands-on and memorable way. Breaking down barriers in a fun, participative way. Identifies leadership qualities in team members. Highlights the diversity, honing specific skills within a team. Creates respect for different personalities and cultures. Identifies the dynamics and behaviour traits of high performing teams. The developed team spirit can be taken back to the office environment for implementation in the workplace. These are just some of the companies that chose TBAE to facilitate their team building events. Click here to see more.